Persons who wish to become registered nurses in the US have four prelicensure academic options from which to choose: diploma nursing programs, associate's degree programs, baccalaureate degree programs, or entry-level master's degree programs. This piece will explore the diploma nursing program, which is the only type of non-degree program remaining in the US that results in professional licensure as an RN. 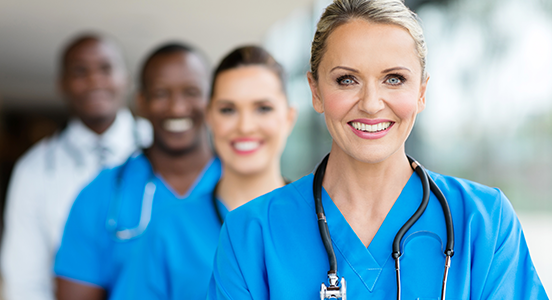 A registered nurse (RN) is a multifaceted healthcare professional who has satisfactorily completed a nursing program and obtained occupational licensing to render care to patients across the life span. The RN has a myriad of responsibilities including collaboration, health promotion, patient advocacy, disease prevention, client and family education, and formulation of the plan of care. RNs who provide bedside care complete assessments, monitoring, documentation, reporting of changes in condition, interventions, procedural skills, medication administration, treatments, education, discharge instructions, and continual evaluation of progress toward goals. RNs can be found working in various healthcare settings such as acute care hospitals, extended care facilities, hospice, home health, private duty, psychiatric hospitals, clinics, doctors offices, occupational health sites, birthing centers and virtually any place where nursing care is needed. On the other hand, RNs who do not work in direct patient care can be employed as hospital/unit educators, professors, clinical instructors, case managers, unit managers, directors of nursing, chief nursing officers, staff development coordinators, researchers, state surveyors, infection control clinicians, and a whole host of other non-bedside positions. Non-healthcare workplace settings that utilize RNs include schools, laboratories, insurance companies, jails, prisons, private homes, military deployments, office parks, research centers and an entire multitude of other locations. 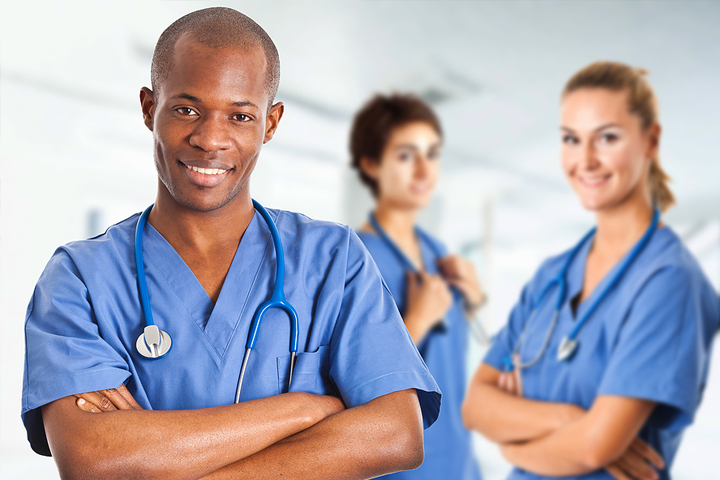 People who are interested in becoming RNs in the United States have four educational options from which to select. Students may choose to apply to a diploma nursing program, an associate's degree program, a baccalaureate degree program, or an entry-level master's degree program. Graduates of all four types of prelicensure programs must achieve a passing score on the same national exam to obtain nursing licensure. This piece will discuss the diploma nursing program, which is the only type of non-degree program remaining in the US that leads to licensing as an RN. The three-year hospital-based diploma nursing program is the oldest kind of prelicensure training in existence today, dating back to the 19th century. The typical diploma program lasts anywhere from two to three years in length, is conducted in a hospital school of nursing, allows students to amass a very high proportion of clinical hours compared to other types of training, and results in conferral of a diploma upon satisfactory completion. Keep in mind that the number of diploma nursing programs has been diminishing gradually over the past few decades; as a matter of fact, they now make up less than 10 percent of all prelicensure nursing programs in the US. This is because nursing education and training has largely moved away from the hospital setting and into the college setting. Most modern-day hospital-based diploma nursing programs have articulation agreements with nearby colleges and universities to promote seamless transfer of credits and facilitation of admissions to degree completion programs. Nothing Like a Nurse Navigator!